“Zombie with a Shotgun.” That’s rolls off the tongue nicely, doesn’t it? 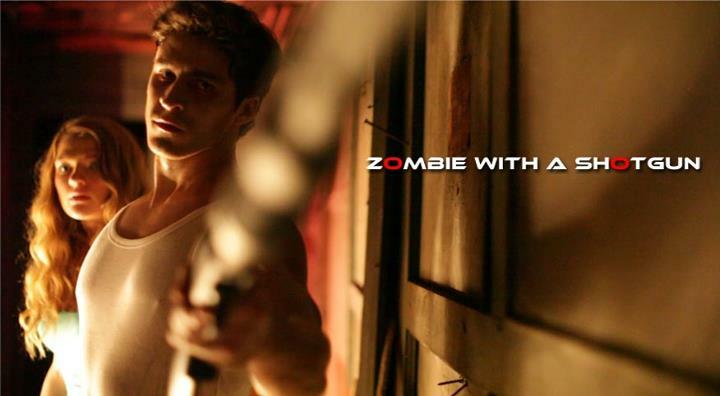 I always like to see how people take the classic idea of flesh eating zombies and transform it into their own creation, and in this web series by Hilton Ariel Ruiz, not only is our main character a soon-to-be zombie, but he’s also got a motherfucking shotgun. Get it? With four episodes released, “Zombie with a Shotgun” definitely sparked my interest by the quick pace and high drama. We start during the middle of some sort of flesh eating apocalypse, and our hero, Aaron (Braeden Baade), along with love, Rachel (Lynnea Molone), are trying desperately to survive, even though Aaron himself has been bitten by a member of the undead. The great thing about “Zombie with a Shotgun” is it starts right at all the good stuff – zombies, guns and of course the cruel battle against human nature. It’s a fun idea from Ruiz that has the potential to become a much larger story. The episodes showcase our two protagonists nicely, and at times you wonder which one of them will emerge the story’s true hero. Each episode runs just about five minutes, and they do go quick. It will be fun to see our hero’s full transformation into a flesh-eating Zombie…with a shotgun, of course. Ruiz will be releasing another 5-6 episodes and potentially a feature film down the road. We’ve posted the first two episodes here, so grab your twelve-gauge and pull the trigger! To watch more, click here! Be sure to follow “Zombie with a Shotgun” on twitter, Facebook and Tumblr. This entry was posted in LA Horror Review and tagged death, gore, horror, monster, murder, shotgun, violence, zombie. Bookmark the permalink.